Minorities and indigenous peoples in Kenya feel excluded from the economic and political life of the state. They are poorer than the rest of Kenya’s population, their rights are not respected and they are rarely included in development, or other participatory planning processes. 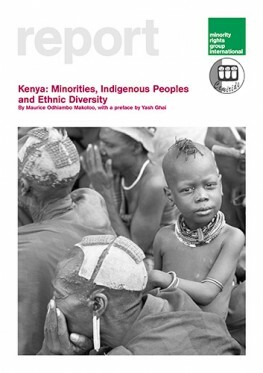 This report discusses the abuse of ethnicity in Kenyan policies, arguing that ethnicity is a card all too often used by Kenyan politicians to favour certain communities over others in the share of the nation’s wealth. Kenya: Minorities, Indigenous Peoples and Ethnic Diversity exposes these concerns in detail via the analysis of budgetary allocations in the poor Turkana region, which is dominated by the minority Turkana people, and in the richer Nyeri region, home of Kenya’s current President. The author, Maurice Odhiambo Makoloo, calls for immediate action to address the inequalities and marginalization of communities, as a way of ensuring that Kenya remains free of major conflict. 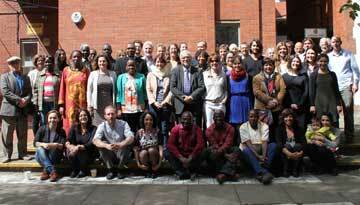 It calls for disaggregated data – by ethnicity and gender – and a new Constitution to devolve power away from the centre, so that minority and indigenous peoples stand to benefit from current and new development programmes. The report argues that Kenya’s diversity should be its strength and need not be a threat to national unity. Suppressing and denying ethnic diversity is the quickest route to inter-ethnic conflict and claims of secession. The report calls for urgent action on data collection, and land and education, to ensure that existing ethnic tensions do not explode into ethnic violence.